about a particular phase of this work should you take one subcourse without the other. 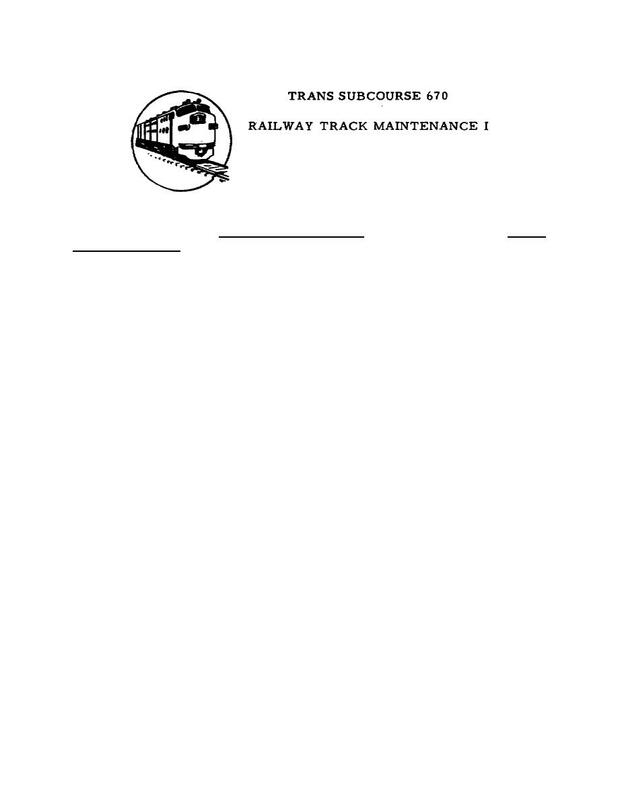 maintenance of way, but even its complete assimilation will not qualify you as a track supervisor. benefit rapidly from working experience. might arise if the texts presupposed fundamental technical knowledge of the subject. subject matter contained in the subcourses applies similarly to civilian and military railroads. reasons for variance are explained.